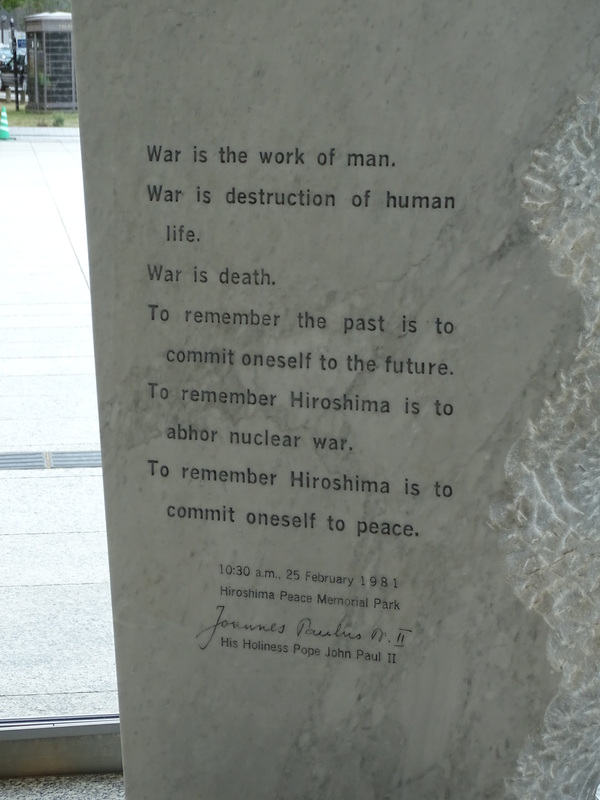 A month ago, we walked through the museum and around the grounds of the Hiroshima Peace Park in Japan. That was before the inauguration of a dangerous leader in the US who seems oblivious to lessons of the past. Over the last month, I have struggled with a search for the most appropriate words to describe our experience in Hiroshima, as humbling as it was awe-inspiring, and as terrifying as it was motivating. Our entire trip to Japan for a visit to our US military family, was in the shadow of ominous historical events that predate my years, but which my parents lived through and knew intimately. Peace Museum, 2017. English message on left. Japanese message on right. 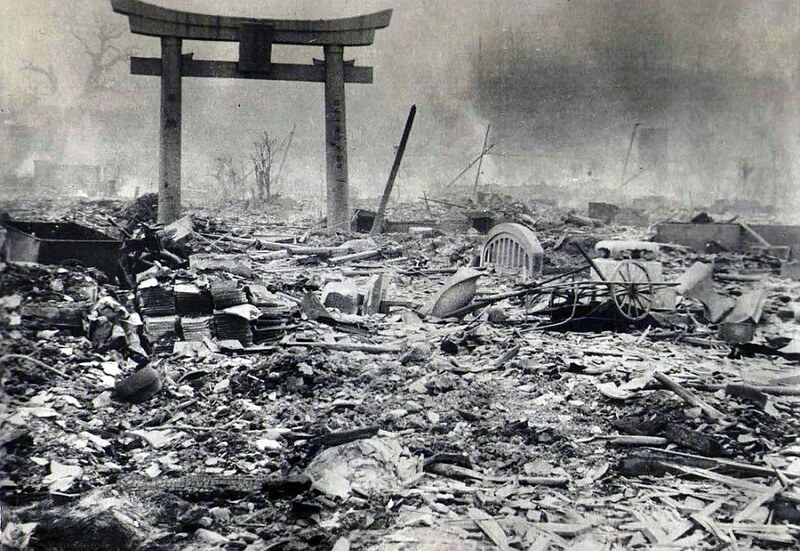 “To remember Hiroshima is to commit oneself to peace,” as Pope John Paul said on the 25th of February in 1981. Peace. . . A condition marked by freedom from oppression, harmony in relationships, and agreement to end hostilities, a definition according to my desk dictionary. It is also a condition that is perhaps as far removed from reality today as it was 75 years ago. 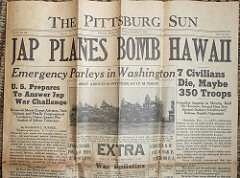 The US was drawn into active participation in World War II after Japan bombed Navy ships at Pearl Harbor, Hawaii. 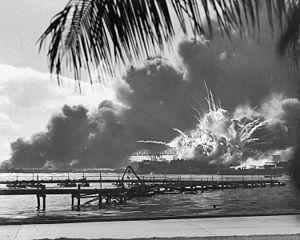 USS Shaw exploding in Pearl Harbor. My uncle Lester, the older brother of my father, was in his third month of training for service with the US Navy at the time of the Pearl Harbor attack. He hastily jotted a note of reassurance to his family, and sent it home via air mail. Not to worry, he wrote, he was all right. However things were likely to change given the course of events, and his Christmas leave was likely to be cancelled. It was. Lester made it home for one last visit the following summer before losing his life, almost a year to the day after Pearl Harbor. 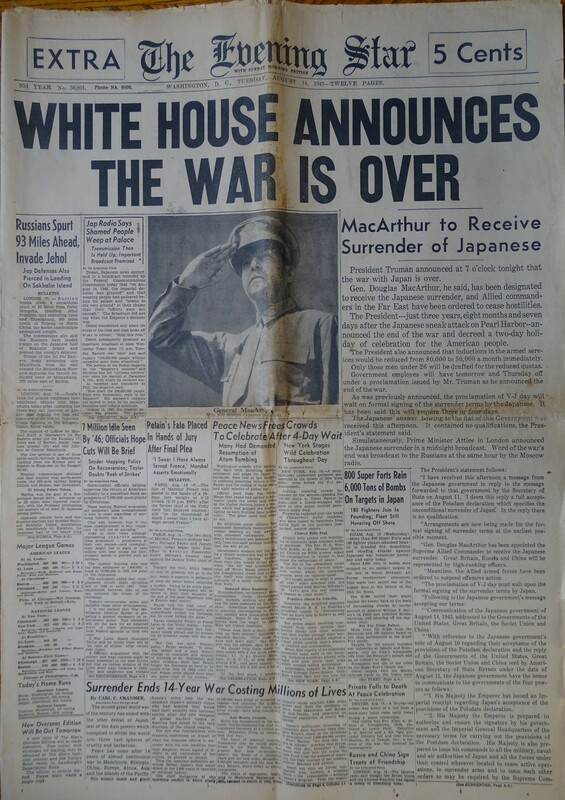 The big war impacted my own family in ways we still feel after 75 years, as surely as it left an impact on countless other American, European, Russian, and Japanese people. 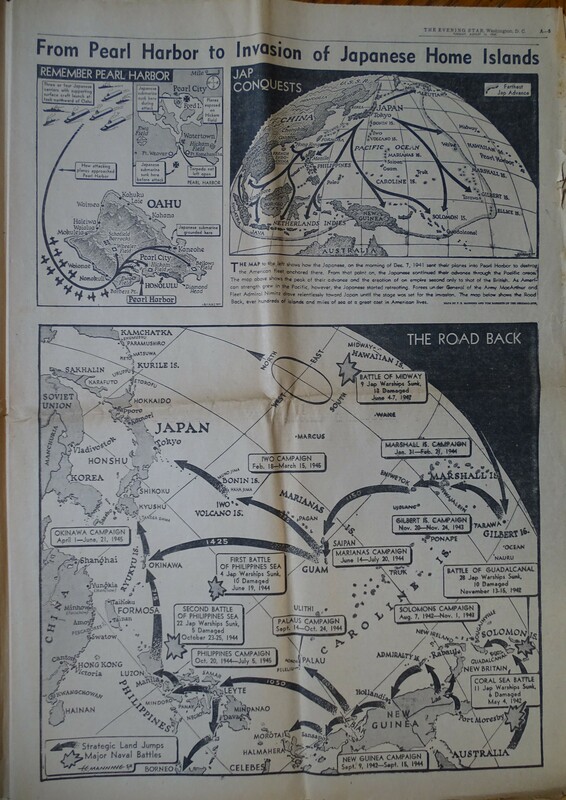 About 3 ½ years after the attack at Pearl Harbor, and many battles later, The US took the fight onto Japanese soil. 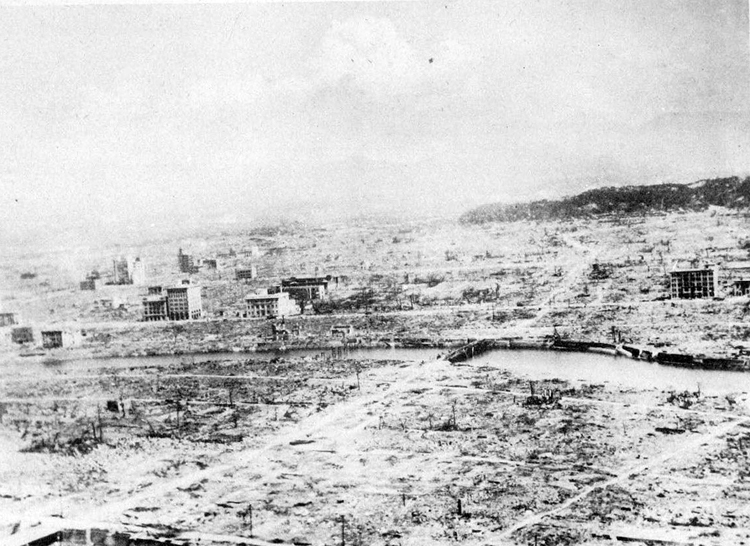 With the horrific bombing of Hiroshima on August 6, 1945, and Nagasaki a week later, the war ended. 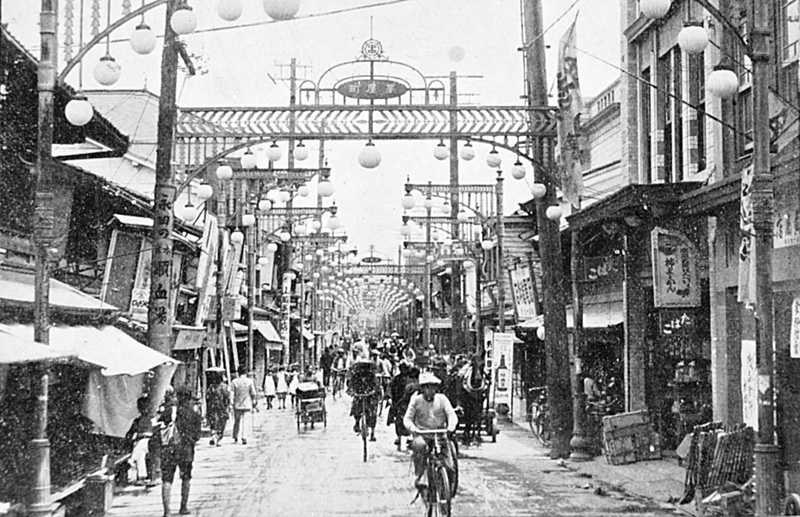 The Japanese people had changed forever. 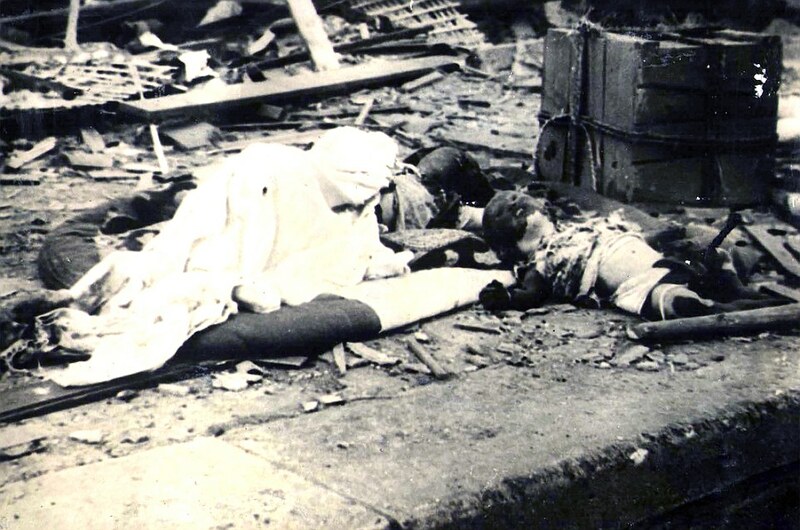 At 8:15 in the morning, as civilians scurried to their daily work, school children settled into their first class, and businesses opened for shoppers, the world’s first atomic bomb was unleashed in the air 600 meters above downtown Hiroshima. In an instant, the city lay in smoldering ruins. 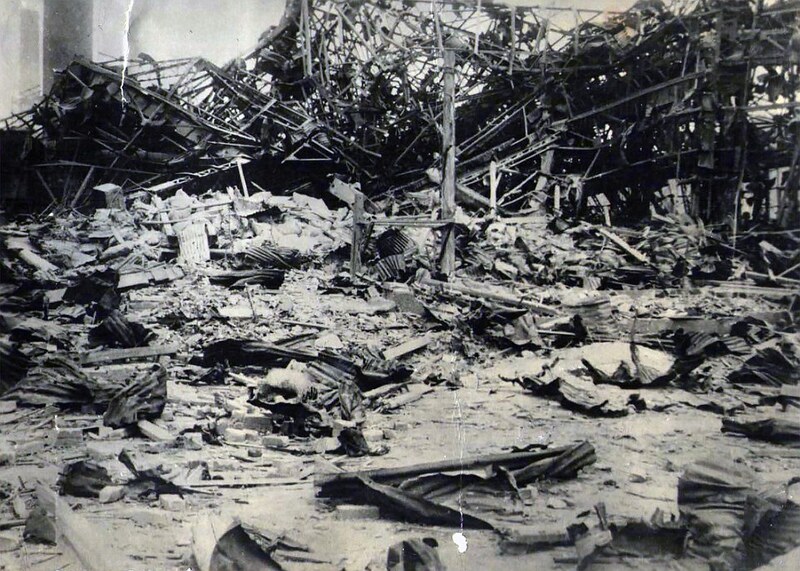 An estimated 200,000 people perished. Most were civilians, including the school children. 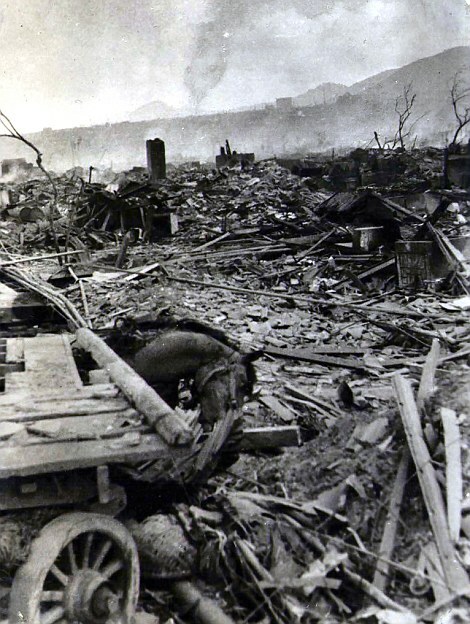 A number of US prisoners of war and Korean natives working in Hiroshima also were lost. 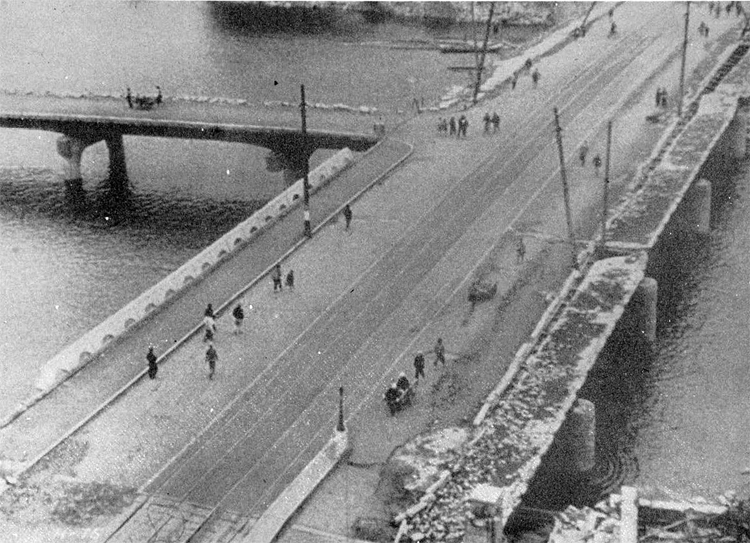 This unique t-shaped bridge is reported to have been the target of the A-bomb. It was still standing after the blast, and could be used, as seen here. 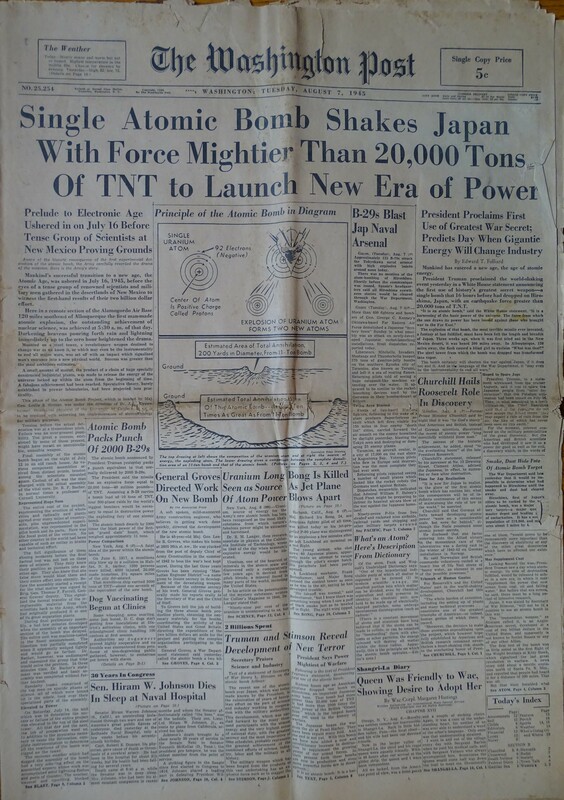 The detonation of the atomic bomb over a bridge in Hiroshima triggered the end of the war and was heralded with great celebration in this country. It was only later, after the destruction became apparent, that we realized what had been unleashed in Japan. 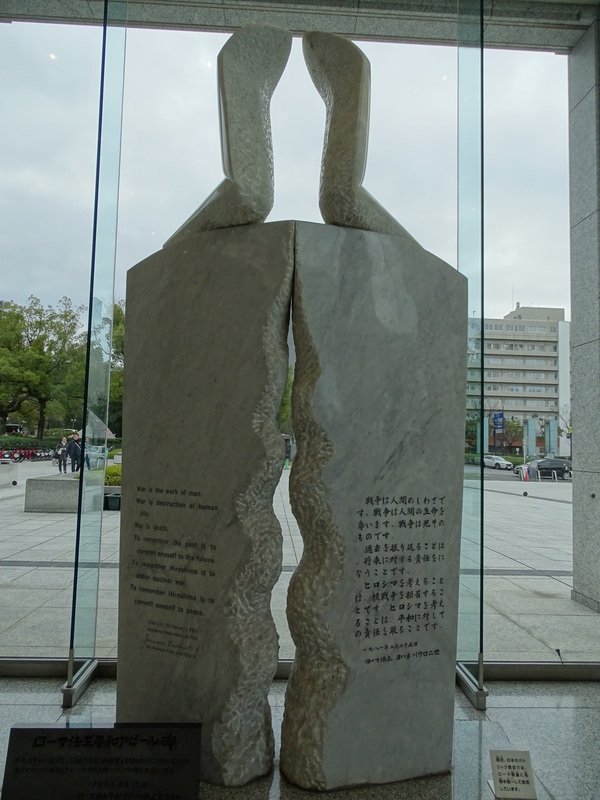 Seven decades later, Hiroshima is again a bustling, modern city, undistinguished from many other cities around the world, except for its World Heritage site, commemorating the bomb and a pledge to world peace that this kind of destruction will never happen again. 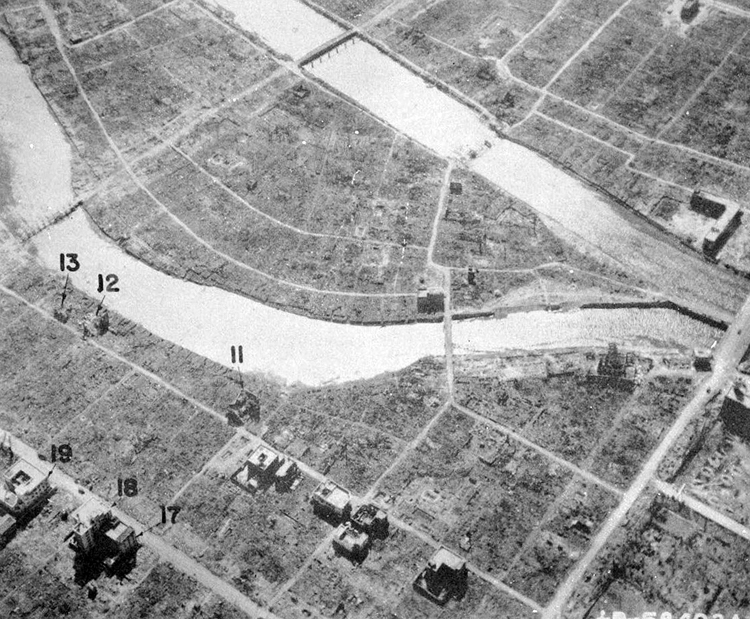 I have never been to Hiroshima but stood at ground 0 in Nagasaki in 195l. Nothing much had been restored by then. Mostly open space except for the corner of a Catholic church. It was terrible but i think it would have been worse without it. 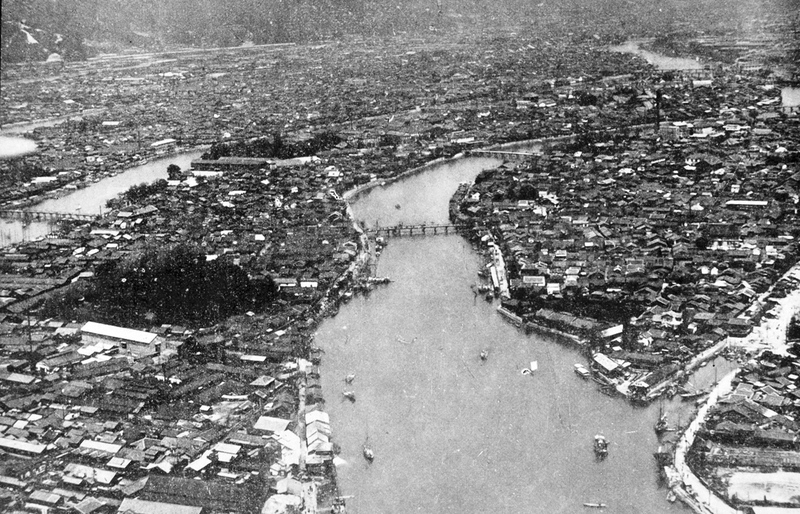 I saw the fortifications at Sasebo and thought of the terrible bloodshed, theirs and ours. if we had had to invade. I was there with the Navy during the Korea fiasco. Guess I have ben a peacenic since then. Thanks, Jim. You are right. . .there are no winners. Thanks for sharing your memory.